Steven Kull, a political psychologist, is director of the Program for Public Consultation and a Senior Research Scholar at the Center for International and Security Studies at Maryland (CISSM), University of Maryland. For the last 18 years he has conducted in-depth studies of public opinion on public policy issues. 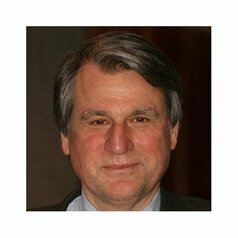 He has worked extensively with U.S. Congressional staffers, State Department officials, and officials at the United Nations to develop surveys that help policymakers gain greater insight into the public values and beliefs related to the public policy issues these policymakers deal with. He has consulted with or testified to the U.S. Congress, NATO, and the European Commission. He has played a central role in the BBC World Service Poll of global opinion and the polls of the Chicago Council on Global Affairs. His articles have appeared in Political Science Quarterly, Foreign Policy, Public Opinion Quarterly, Harpers, The Washington Post, and other publications. He is a member of the Council on Foreign Relations and the World Association for Public Opinion Research.